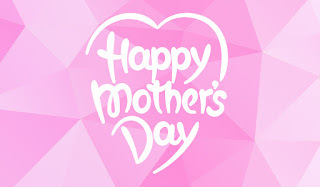 Wishing a Happy Mother's Day to All the Mother's in the World. Every year, the second Sunday of May is celebrated as Mother's Day across the world. All of us would agree that mothers deserve more than just a day dedicated to them.We often forget to appreciate our moms for their sacrifice and love. Being a mother is hands down the most demanding job in the world and they do it so selflessly without ever complaining. While we can never repay our mothers for their love and devotion, we can at least devote all our time to them on Mother's Day. There are many things that you can do for your mother on the Mother's Day. You can make her breakfast and spend the complete day with her, you should put your phone on silent and there are a lot of ways by which you can make her feel special at least this one day. Another wonderful way is to tell her in words how special you feel about her. Here are some Mother's Day quotes to express your love and gratitude for the most special woman in your life. 1. Mama was my greatest teacher, a teacher of compassion, love and fearlessness. If love is sweet as a flower, then my mother is that sweet flower of love. 2. God could not be everywhere, and therefore he made mothers. 3. A mother is a person who seeing there are only four pieces of pie for five people, promptly announces she never did care for pie. 4. A mother's love for her child is like nothing else in the world. It knows no law, no pity, it dates all things and crushes down remorselessly all that stands in its path. 5. Being a full-time mother is one of the highest salaried jobs... since the payment is pure love. 6. Mothers hold their children's hands for a short while, but their hearts forever. 7. A mom's hug lasts long after she lets go. 8. Kids don't stay with you if you do it right. It's the one job where, the better you are, the more surely you won't be needed in the long run. 9. The best place to cry is on a mother's arms. 10. My mother is my root, my foundation. She planted the seed that I base my life on, and that is the belief that the ability to achieve starts in your mind.